Is it someone who has accomplished something that you dream of doing? Or is it someone who has overcome great obstacles to succeed in spite of all the challenges they face? Maybe it’s someone who’s done both. Like those who’ve achieved great success in the arts, music, sports, politics or business, while living their lives to their fullest—from their wheelchairs. They didn’t view their wheelchairs as a limitation but as a tool to take them where they wanted to go. They didn’t see their disabilities as insurmountable obstacles, but as challenges that would push them to achieve great things. They didn’t focus on what life had taken away from them but rather on what life had to offer. Read on to learn about 15 people who refused to be limited by their disabilities. These inspiring achievers pursued their dreams and passions and have made a difference in the lives of many. In 1921, Franklin Roosevelt was a rising star in the Democratic party when polio struck him and left him with paralyzed legs. Determined that he would walk again so that he could resume his political career, he set himself a stiff regime of exercise. He never did achieve his goal of walking. But, urged by his wife and a close associate, he re-entered public life. At a time when disabled people were often sent to asylums, Roosevelt and his insistence on “good cheer” won the hearts of the voters, who elected him president not once but four times. 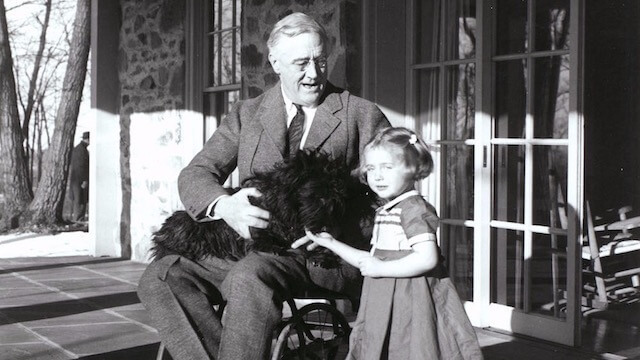 Roosevelt led the country through the Great Depression and World War II, and never ceased to advocate for the disabled. 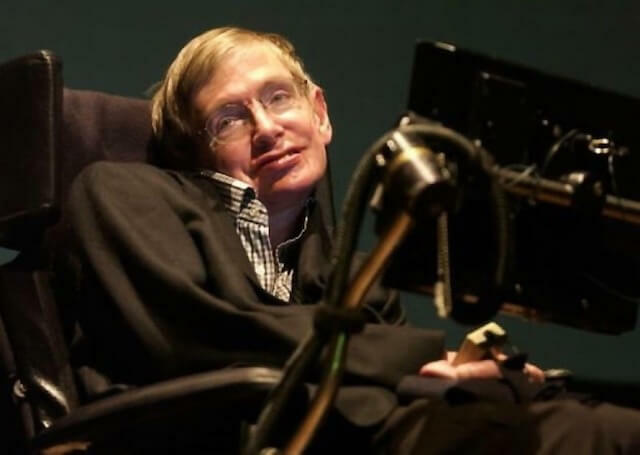 At the age of 21, Stephen Hawking was diagnosed with ALS, otherwise known as Lou Gehrig’s disease. He was told he wouldn’t live to see 25. Fast forward over 50 years. Hawking is still alive, battling his disease and refusing to let it interfere with his career. For 30 years he was a full professor of mathematics at Cambridge University. Now he directs the school’s Center for Theoretical Cosmology and has received dozens of honorary degrees. He’s best known, however, for his popular books on science, such as A Brief History of Time. He’s also well known for his pioneering work in black holes and relativity. How did he manage to achieve all this? He admits that before his diagnosis, he wasn’t very focused. When he realized he might not survive to earn his Ph.D., he devoted himself to his work. He’s been in a wheelchair since 1969, adapting to the progressing of his disease with devices that enable him to speak or dictate. Now he uses a single cheek muscle attached to a speech generating device and continues to lecture, teach and research. 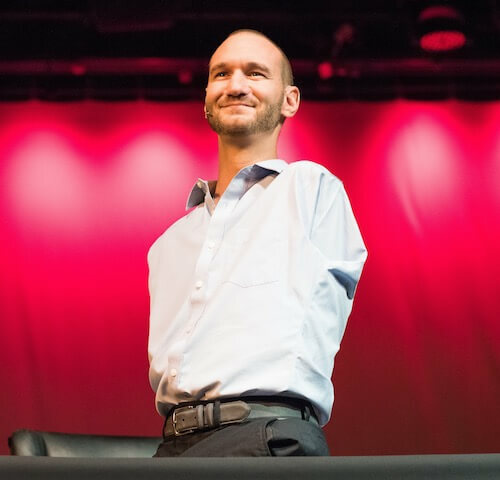 When Nick Vujicic was born without limbs, he wasn’t expected to survive. Nearly everyone with tetra-amelia syndrome barely makes it past infancy. But Nick did. Throughout his life, he was determined that his disability was not going to limit him in life. Even though he has no legs, he was born with two tiny feet, one with fused toes. Surgery separated those toes, and he learned to use them as fingers to perform many tasks. With the support of his family, he managed to graduate from Griffith University and found Life Without Limbs, an international ministry serving those who are missing one or more limbs. He also travels the world as an evangelist and a motivational speaker. If that wasn’t enough, he’s an author, musician, actor and enjoys fishing, painting, and swimming. Beyond that, he’s married and has four children. Sounds like he’s met his goal of not being limited. 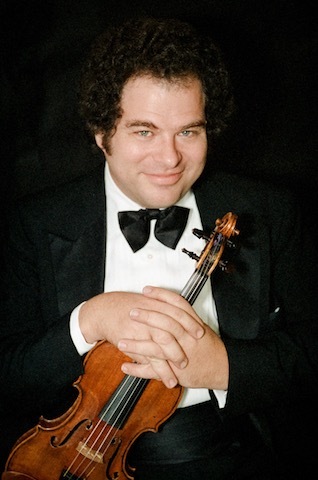 At three, Itzhak Perlman knew he wanted to play the violin, even though he could barely hold a child-sized one. The music school wouldn’t accept him. Undeterred, he taught himself to play. A year later he was paralyzed by polio and in a wheelchair. Doctors didn’t think he should pursue music, but he pushed on. Now he’s an internationally known violinist and conductor, winner of more than 12 Grammy awards and numerous Emmys. As an active, athletic teenager, Joni Eareckson loved sports. When she was 17, she dove into shallow water and crushed part of her spinal cord. This accident left her a quadriplegic, unable to move any part of her body from the shoulders down. During her rehab, she learned to paint holding a brush in her teeth. Her art began to sell, and she was asked to write a book. That was the start of her career as a Christian author and speaker. She’s written many books, recorded several musical albums and is a disability advocate through her organization Joni and Friends. After a long illness, Sue Austin found herself in a wheelchair. Not one to allow her disability to keep her from her pursuing her passion for scuba diving, she found a way to remain active in the sport in a specially designed wheelchair. She made digital artworks of live and filmed sequences of her underwater. 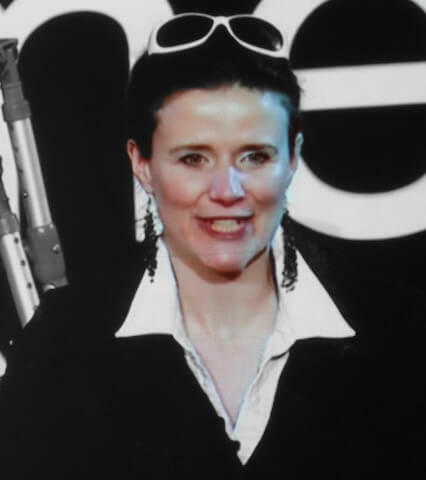 The best known of these is called “Creating a Spectacle!” Through her work, she challenges us all to rethink our attitudes toward the disabled. Actor Christopher Reeve is best known for his performance as Superman in the films of the late 1970s and early 1980s. In 1995 he was competing in an equestrian event and was thrown from his horse, landing on his head. His spinal cord was damaged and as a result, he was a quadriplegic and dependent on a portable ventilator to breath. Following his accident, he continued acting and directing, while using his celebrity status to advocate for those with spinal cord injuries. 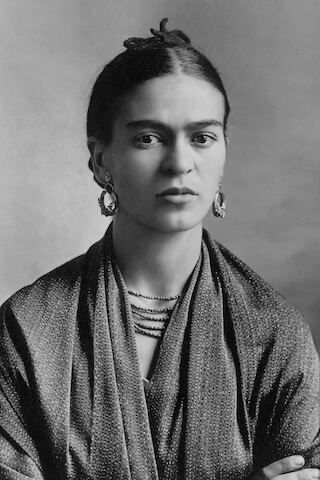 “Feet, what do I need you for when I have wings to fly?” is one famous quote attributed to Frida Kahlo. Her career as an artist proves that she surely did allow her talent to make her soar. She was born in Mexico in 1907 and suffered from polio as a child, which damaged her right leg and foot. When she was 17, a traffic accident left her with severe injuries to her hips and spine, dependent on a wheelchair. Following her accident, she began painting, mostly self-portraits. Many of her works mix realism and fantasy and explore themes such as identity, gender, class, and race. Her work has been studied by art students around the world and she was the first Mexican artist to have work displayed in the Louvre. Some of her most well-known self-portraits show herself in her wheelchair. 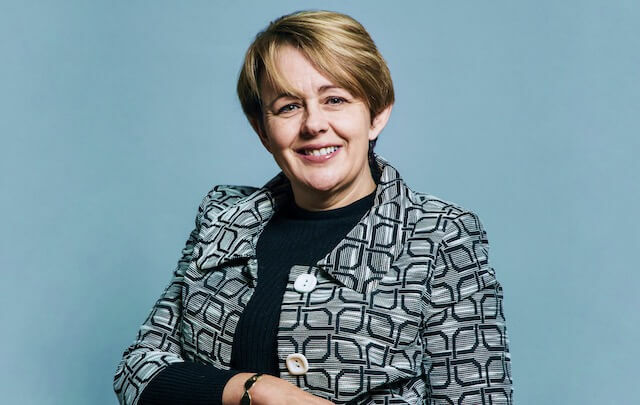 Born with spina bifida, Tanni Grey-Thompson is one of the United Kingdom’s most successful disabled athletes. She’s won more than 20 medals in the Paralympic Games as a wheelchair racer. Following her racing career, she’s sat on boards of several foundations that promote sports and the disabled, served as Chancellor of Northumbria University and is a member of Parliament. Ralph Braun’s been in a wheelchair since the age of 14. His muscular dystrophy had progressed to the point he could no longer walk. A few years later, he created a motorized scooter he dubbed the “Tri-Wheeler.” The scooter made it possible for him to get to and from work. Then he equipped an old Jeep with hand controls and a hydraulic tailgate. This way he could load up his Tri-Wheeler without assistance. 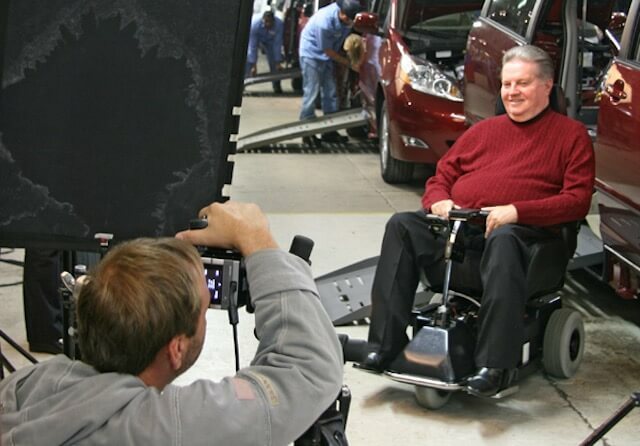 His next project was retrofitting a Dodge van with a wheelchair lift. News of his invention spread. 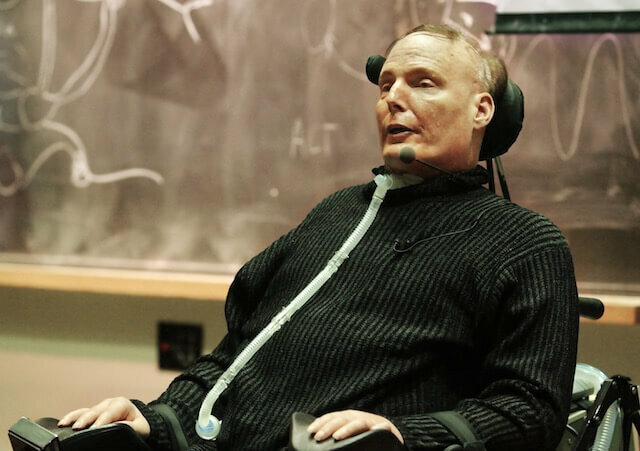 To meet the demand, he began a company to manufacture devices to make vehicles accessible to wheelchair users. 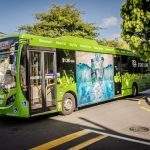 For his innovative designs and tireless work to make them widely available, he’s been called the Father of the Mobility industry. Cory Lee’s been on the go his entire life, even though he was diagnosed with Spinal Muscular Atrophy at the age of 2. Within a few years, he was unable to walk and has used a wheelchair ever since. He and his wheelchair have traveled the world. 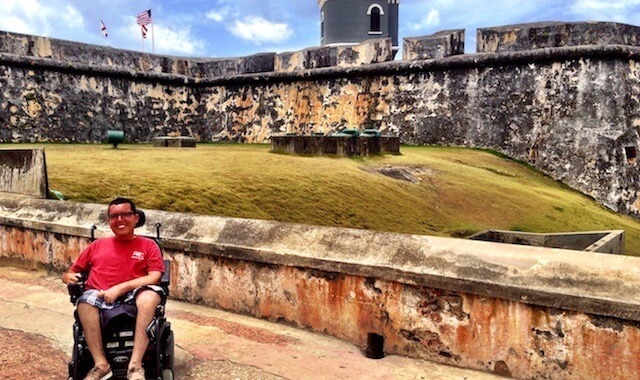 Cory wasn’t about to let his limited mobility keep him from exploring every part of the world. His travel website “Curbfree with Cory Lee” inspires other disabled travelers to follow their dreams and travel far and wide. Throughout her childhood, Esther Vergeer suffered from headaches and other pains. After several years, doctors discovered malformations of the blood vessels of her spine. Surgery to correct the problem left her unable to move her legs. 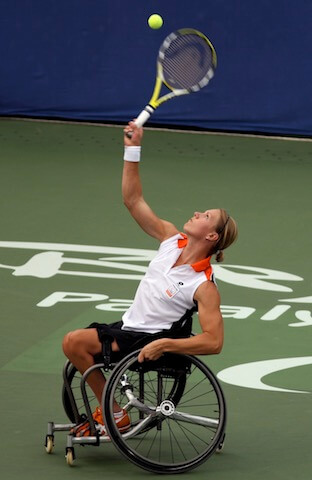 As part of her rehab, Esther learned to play volleyball, basketball, and tennis in a wheelchair. She went on to win 162 singles and 134 doubles titles in international competitions, making her one of the most highly decorated Parathletes ever. At the age of 14, a car accident injured Teal’s back so severely she lost the ability to use her legs. She didn’t let that stop her from pursuing her goals to go to college. 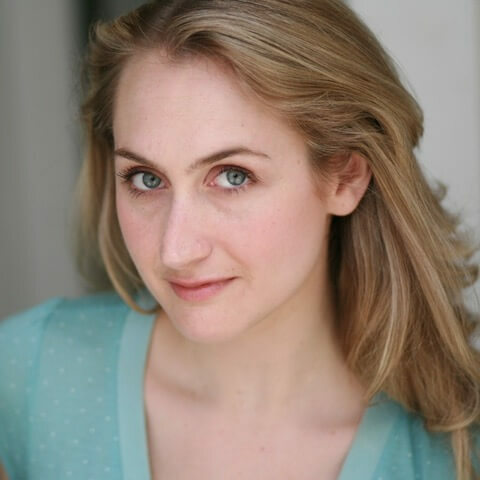 While at Oglethorpe University, she discovered her talent for acting. She went on to act in several plays and landed a role in the 2004 film, Warm Springs. While pursuing her career, she’s been an advocate working to persuade the entertainment industry to include more performers with disabilities. 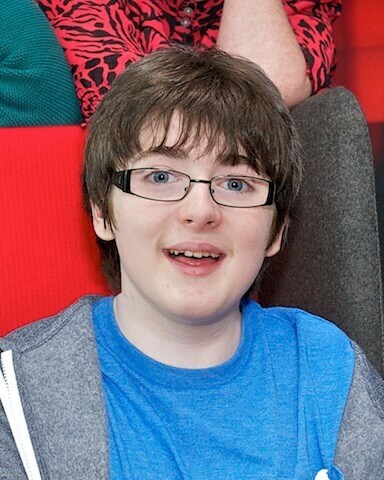 At just 14, Jack Carroll appeared in Britain’s Got Talent and finished as the runner-up. A wheelchair user due to cerebral palsy, he’s pursued an acting career and is known for using his cerebral palsy in his comedy. In 2012, he won a Pride of Britain award in the Teenager of Courage category. He’s just 20 years old now, the youngest person on our list. Who knows what else he’ll be able to achieve throughout his life? Born with cerebral palsy, Aaron ended up in a wheelchair after several failed operations on his hips. But he wasn’t about to let that stop him from pursuing his love of skateboarding. He’s been a superstar in the sport of WCMX, which is a mix of skateboarding and BMX riding for wheelchair users. In 2006, he made the first somersault in wheelchair history. All of these people have proved that life isn’t over just because it put them in a wheelchair. Instead, they found ways to overcome their challenges and to achieve amazing things in spite of their disabilities. The same can be true for you. Be inspired by these 15 people and think about what you are you longing to do. Go out and give it a try. You may be more successful than you think. And someday, you might become someone else’s inspiration.